​Natural Gas is typically used for heating and cooking. In older structures it important to make sure that there are no gas leaks under the house or around the perimeter. 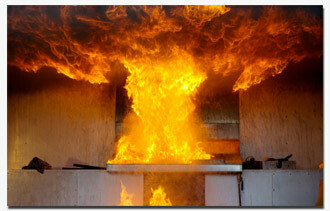 Natural gas explodes when exposed to a flame or sparks in contained areas such as a kitchen or basement. The odor of gas can be an indicator of a gas leak and should be immediately inspected. While the gas company will detect a leak for you they will not fix it. In fact, if they find a leak on the property they will place a lock on the gas valve and shut off your gas. They will not turn your gas back on until they have proof that a licensed plumber has fixed the problem. Therefore it is best to call a plumber immediately if a gas leak is detected. Automatic earthquake gas shut off valves save lives and property! In the event of an earthquake or seismic movement the valve will completely shut off all gas leading into a structure. Keep an earthquake from becoming a tragedy by allowing us to install a UPC (uniform plumbing code) approved earthquake shut off valve on your property. The cost of the valve is minimal compared to the cost of the damage of total loss of property and possibly life.